The final online print release from the Lazarides 'EUROTRASH' exhibition in Los Angeles was released last night, Thursday 24 June. 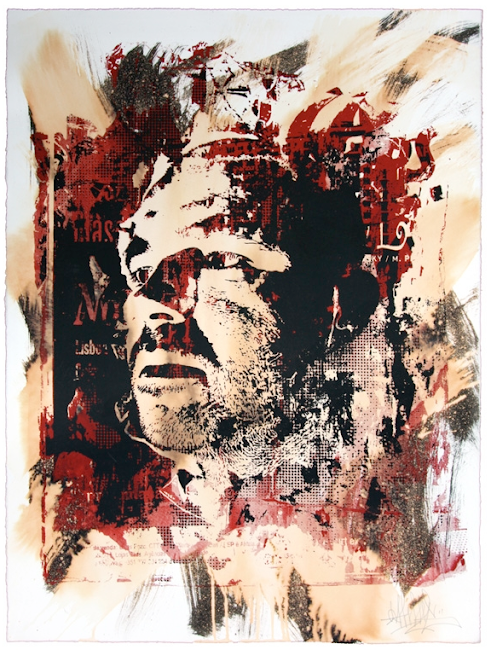 The 'Corpocracy' print from Portuguese street artist Vhils, is an edition of 100 and each print has been hand finished with ink wash and bleach! Signed and numbered they are available to purchase online from shopatlazarides for £150.